Over the last few decades our increasingly busy lives have dramatically changed the way in which we shop for food. 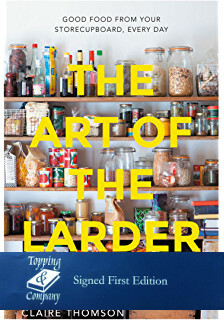 But as Claire Thomson’s The Art of the Larder shows, having a well-stocked and organised larder can be truly life-changing. Packed with delicious and practical recipes, this book will revolutionise the way you cook and shop.